As I sit in a cafe in Chiang Mai, Thailand, soaking up lightening fast wifi and reveling in the ability to legally ride a motorbike through the city, February already seems like a lifetime away. Somehow the shortest month of the year allowed me to cram in seemingly endless hours of travel and sunshine. 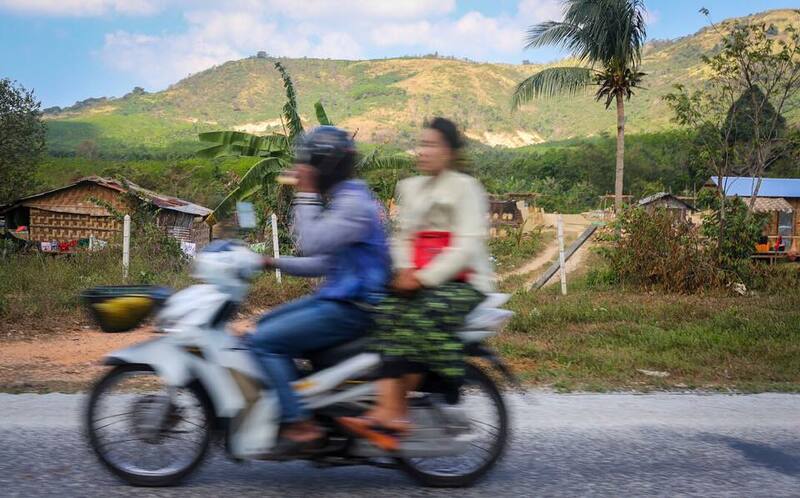 I kicked off the month heading to Kawthaung, which is the southernmost tip of Myanmar in Tanintharyi Region. Myanmar has announced major plans to boost tourism in the region, so it was a special treat to visit the region before things potentially get revamped. 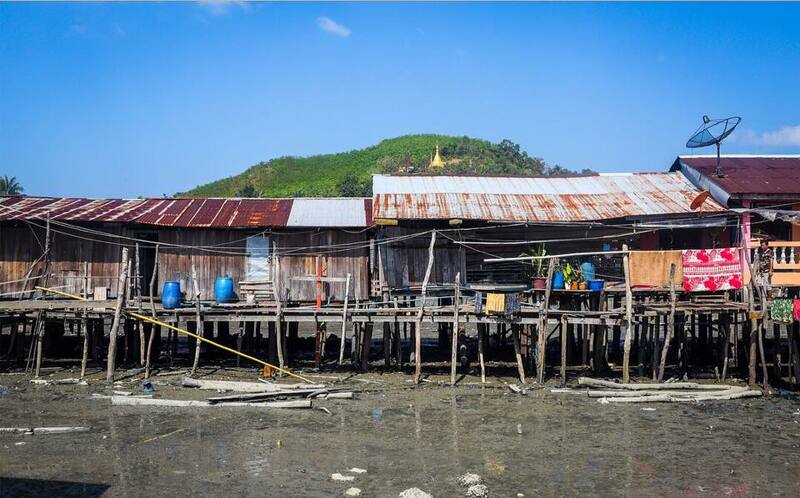 Houses sit on the coastal side of Paulatonetone Island, Tanintharyi Region. Aside from a road being paved, a large bridge being built to a seemingly small island, some waterfalls and hot springs... there's not much going on in the region. Due to it's proximity to Thailand (and the Burmese government granting an island to Thai business men to turn into a casino) a majority of the tourism is geared towards Thai visitors coming from just across Kra Buri. The old bridge that connects Paluatonetone Island to the mainland. Feb 2018. 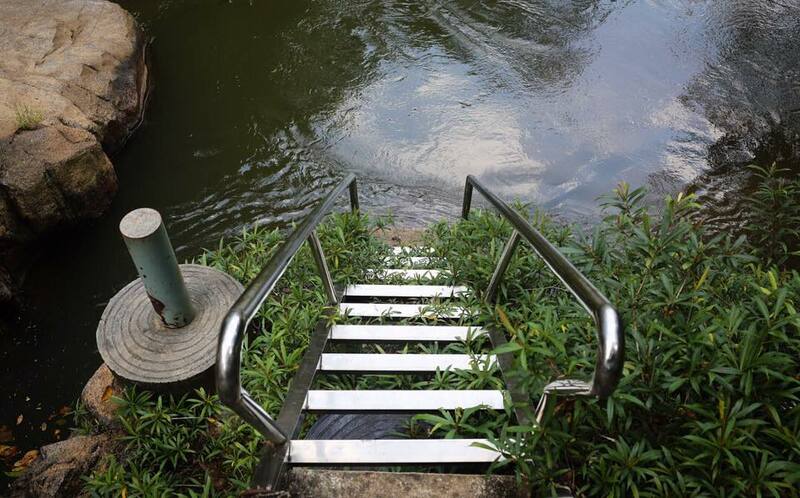 A ladder leading to the waterfall pools looks like something straight from a midsummer dream. Feb 2018. 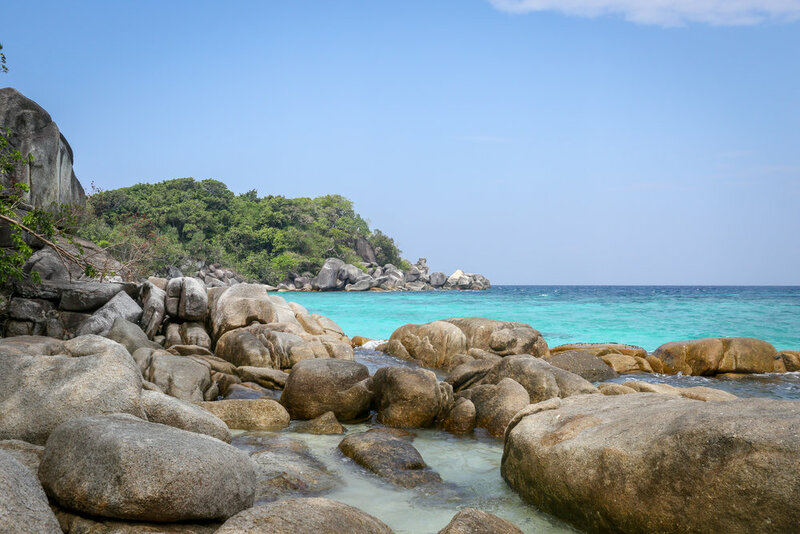 But Kawthaung is incredibly valuable for its port, which acts as a way to get to the southern islands of the Myeik Archipelago- which was the real reason I came to the south of the country. Seashells found on the beach of Boulder Bay. Feb 2018. I was invited to visit Boulder Bay Island- one of the most southwestern islands in the archipelago. 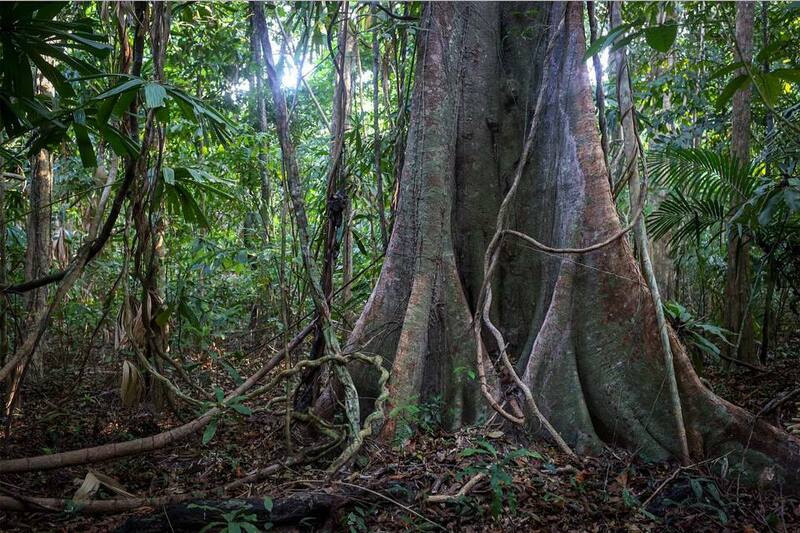 The island, operated by a Norwegian businessman who has worked and lived in the region for decades, is on the forefront of environmental restoration in the region, truly walking the talk of ecotourism development. Boulder Bay Island. Feb 2018. The island was an absolute dream. 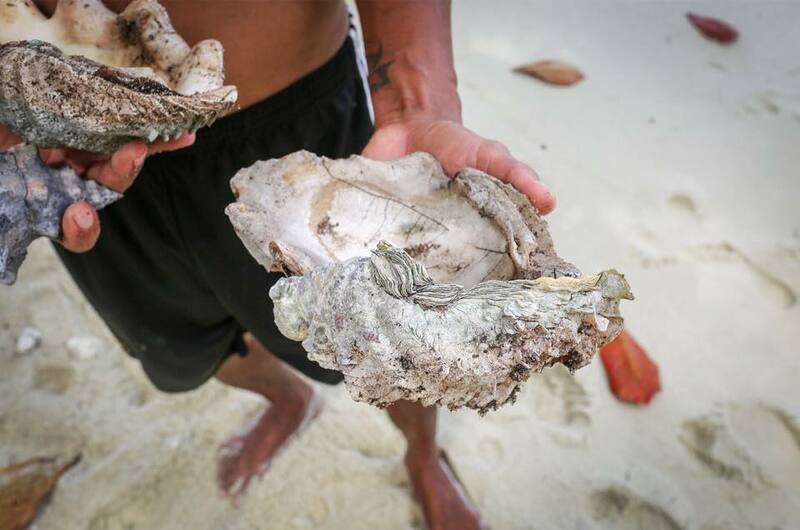 White beaches filled with seashells, bamboo forests with hiking paths that lead to bays filled with coral reefs, and biologists on the island that were willing to share their research made for fun and informative days. Riding through the Irrawaddy Delta. Feb 2018. 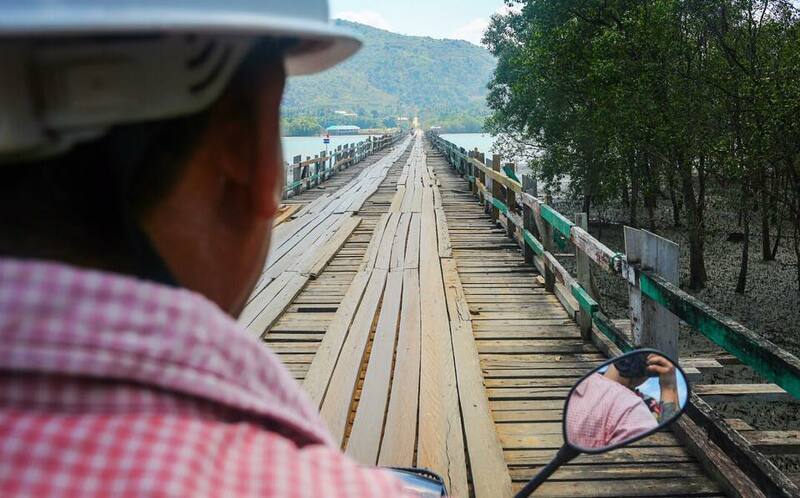 But after a six hour plane delay getting back to Yangon and sweet but short 12 hours at home, it was time to get back on the road, this time heading to Chaung Thar, on Myanmar's western coast where major mangrove restoration efforts are taking place. 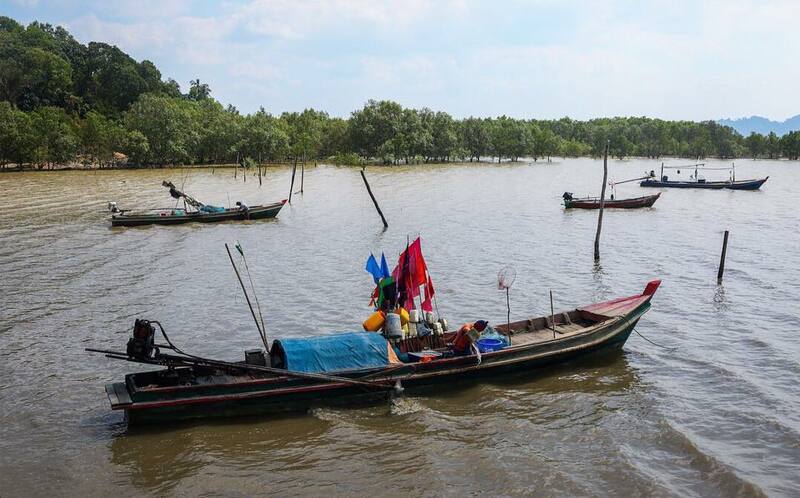 The middle of a mangrove area in the Irrawaddy Delta wasn't necesarily where I thought I would see people using cutting-edge drone technology for environmental restoration, but there I was, witnessing it first hand. 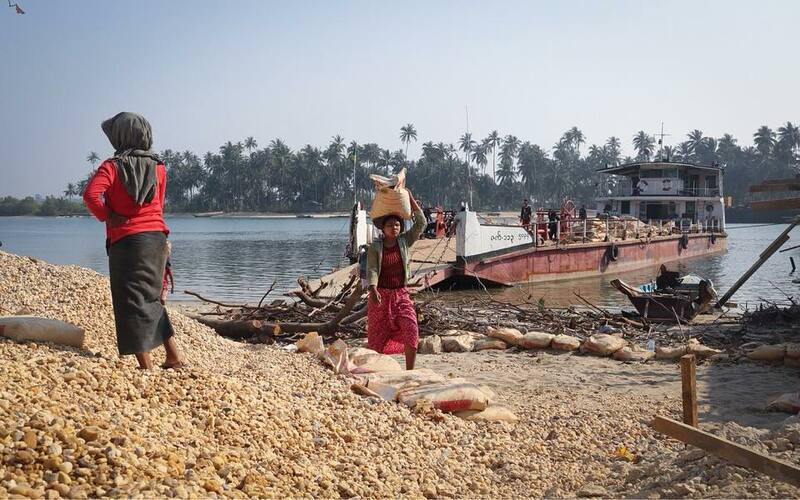 Men and women carry rocks from the river to the mainland, where a bridge is being constructed. Feb 2018. Typist Aung Myint works at his typewriter in downtown Yangon. Feb 2018. After being on or near the beach for two and a half weeks I finally made it back to Yangon, picking up a quick story on the old typists of Yangon. 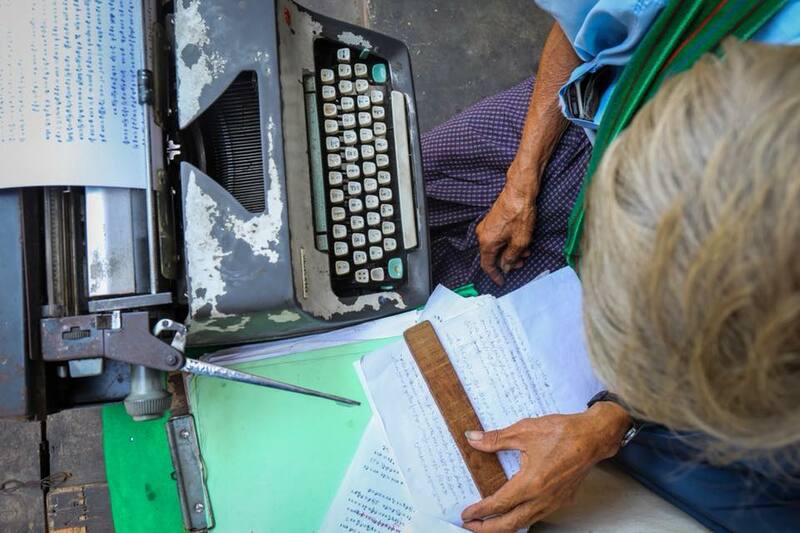 Until recently most government offices and lawyers in Myanmar lacked access to computers and printers, relying on professional typists to take their handwritten notes and turn them into beautifully typed documents. But with the rise of cheaper access to technology, typists are starting to fade away, perhaps becoming a thing of the past sooner than later. Radio France International called me to talk about the six-month anniversary of latest chapter of the Rohingya crisis, giving me an opportunity to send this link to people to remind them what my voice sounds like. 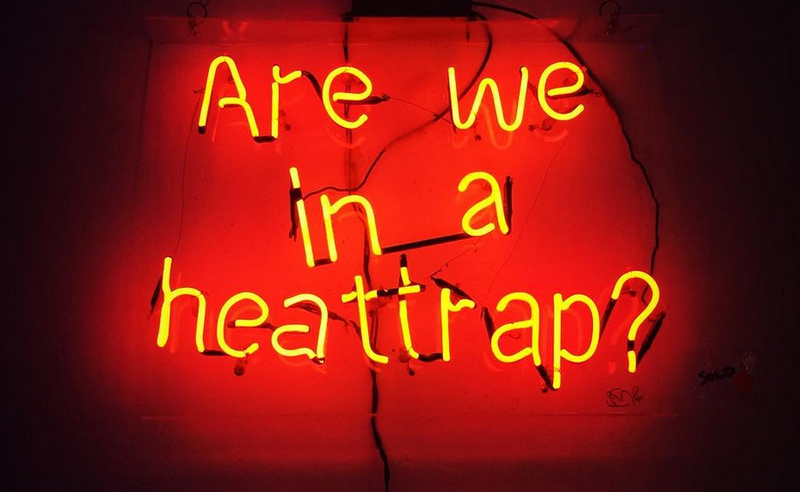 Splice Newsroom also featured a story I did on the #SayNoT066(d) campaign. The coalition of over 20 members has come together to document, track, and share information on cases involving the notorious section 66(d) of Myanmar's Telecommunications Law. A piece from a show at Myanm/art. Feb 2018. Aside from that it's already five days deep into March and hot season is seemingly here to stay. Onwards and upwards and all of that.